Some Value Bubbly Options For the Summer! Holy crap has it been hot! This summer has bought about heat wave after heat wave and it is just draining. Now I know what the Boca Raton Wine Guy feels like… if there is one. I always find chilled down sparkling wine to be the best option for beating the heat. I do enjoy Champagne, but who can afford to drink that all summer… not me. So below are a few bubbly options that you can enjoy on a consistent basis still have some money left over for your Con Ed bill. If you are set on having your sparkling wine come from France, then go with a Cremant instead of Champagne. These sparklers are made in the same style as Champagne but come from different regions. The most popular is the Cremant d’Alsace and for a good reason. These wines offer tremendous value but still offer high quality in terms of production and taste. My favorite right now is the Pierre Sparr Cremant d’Alsace Brut Rose. Made with 100% Pinot Noir grapes, it offers bright strawberry and floral aromas and has a wonderfully refreshing combination of acidity and some mild tannins. For under $15 you should be drinking this all summer long! 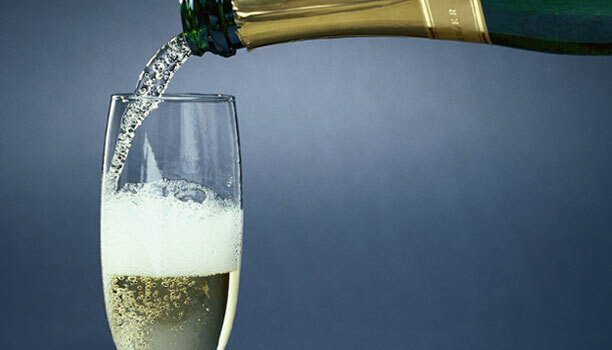 Prosecco is also a fantastic way to enjoy some chilled bubbles at very reasonable prices. They are made with the Glera grape variety in the Veneto region of Italy and have grown in popularity over the last decade or so. The good ones will maintain fresh fruit flavors and a crisp, clean finish while working in a semi sweet characteristic. No longer are these the sweet and fruity sparkling wines that were once similar to Asti Spumante. The pedigree on Prosecco has risen leading to its recent devoted following. The Mionetto Prosecco Brut is one of the more popular options out there, and very tasty. But my favorite is the La Marca Prosecco. Lots of fresh, clean apple and melon and minimal hints of sweetness… as I prefer sparkling wines on the drier side. Some of the best value in sparkling wine can be found in those coming out of California. They mimic the Champagne style and are typically half the price. Lots of great names to choose from including Domaine Carneros (by Taittanger), Schramsberg, Mumm and even Korbel. However I tend to reach for the Gloria Ferrer selections. For around $15-20 they make a Blanc de Blanc (mainly Chardonnay) and a Blanc de Noirs (mainly Pinot Noir) that taste much more elegant and sophisticated than the price tag would lead you to believe. They also have some of the those biscuit and yeast flavors that Champagne is famous for, something you may not get in other value sparklers. So save those fancy Champagnes for the big celebrations, there are plenty of sparkling wines you can drink everyday! Well, maybe not everyday but you get my drift. And because most of these value sparkling options are not really meant to age, the old adage for bubbly applies… chill it and kill it! ← What do you open to celebrate those big moments in life?